We ask Retail Food Buyer questions so you don’t have to. The questions in this series have one goal: help your food brand get on – and stay on – the shelf. We asked these questions in interviews and surveys. or they were submitted by food companies that attended our Emerging Food Brands Forum. For the Buyer’s Roundtable Q&A lunch, we invited every food company attending to submit 2 questions they want to ask a retail food buyer. 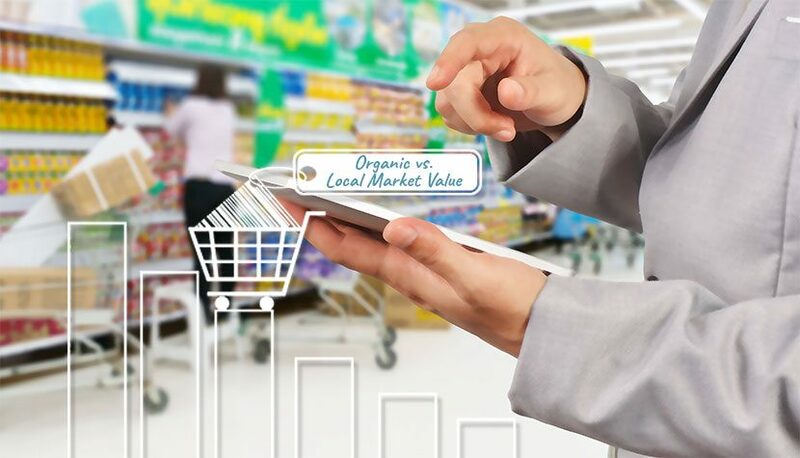 Question: What real market value, ie in dollars, exists for organic or local food products? “I separate the two just a little bit. You could argue that for organic, that’s been around and there’s certainly value with that. It’s coming down a little bit but with local, I think that really comes down to the retailer’s ability to market the product as local and let the consumers know what their supporting, target product but you have to always make sure you’re understanding where you’re trying to go as a company. If you’re trying to go national, you have to be careful what you’re putting on your label if you’re ready to expand past that regional market that you’re talking a bout. This question was submitted by a non-organic, local produce company attending our Emerging Food Brands Forum but the answers are relevant to everyone in attendance. Buyers are going to be reactive for the sake of the consumer and their competitive set. So even though organic food has numerous health benefits and is still selling well, when they see organic is peaking and/or becoming mainstream they are going to throttle back their “buy.” However, local is still gaining steam as a trend so the retail food buyer is going to look for ways to add it to their planograms across the store…not just in the produce aisle. To learn more about what the retail food buyer is looking for in supplier partner, subscribe to the RSS feed of this blog or the NewPoint newsletter, look for my book: Moving Your Brand Up the Food Chain, check out this excerpt of The Buyer’s Perspective or just reach out to the NewPoint team! We’d love to hear from you!